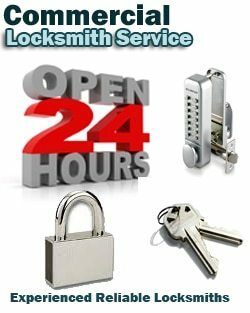 We are a locksmith company that can do it all and that includes taking care of all your commercial locksmith services in Brooklyn, NY. Our honest and dependable team of locksmiths offer top tier lock and key service for your commercial building. With over a decade in business in Brooklyn, NY, we are trusted in the community to help with a building lockout, installing building locks, making building key copies and more. We’ll send a fully loaded van guaranteed to arrive within a 20 minute response time anywhere in Brooklyn, NY to provide you with the most reliable assistance. Make sure to save our number for all your commercial locksmith jobs. The real question is, what commercial locksmith services do we not offer in Brooklyn, NY? Eddie and Sons Locksmith specialists are the top dog when it comes to all your lock and key services for any commercial building anywhere in Brooklyn, NY. It’s important to keep your business safe and secure and our Specialists are committed to helping you do that. Our trustworthy technicians can install or re-key door locks with no problem. They can help with a faulty security lock that’s keeping you up at night. They’ll even meet you to assist with commercial lockouts. Don’t wait to write down our contact information. You never know when you may need a specialist to help with your building locks and we want to give you the best service in all of Brooklyn, NY. Dealing with commercial locks is a whole new ball game compared to auto locks or residential locks. We are the Brooklyn, NY locksmith team to help with the locks and keys for any commercial building lockout. Especially when you are dealing with a building lockout in Brooklyn, NY, you want to make sure you’re hiring a competent locksmith to help. It happens all the time and we’re committed to assisting our local businesses with commercial lockouts whether we need to repair hardware or make key copies. We are the best locksmith in Brooklyn, NY to call if you ever get locked out of your office building. Are you opening your own business? Do you need a freshly installed commercial grade lock on your door? First of all, congratulations! Let us help you make sure it’s secure and ready for that grand opening. Our talented commercial Brooklyn locksmith team is waiting for your call and we can assure you that you’ll be satisfied with the job we do. We can install commercial door locks with ease and we’ll even make building keys and copy them for all your employees. Whatever the job, we’re the locksmith who can do the job well. Go ahead, save our number, and when your new business is nearly ready to open its doors, our locksmith will install some proper locks. You invest a lot into your business and you need a trusted security lock system to make sure all that you’ve invested stays intact and secure in the building. It’s as easy as hiring the best commercial locksmith team in the area. And that’s us! It’s our business to make sure that your business, and the commercial building it lives in, has the toughest lock behind it with a high security key. Our quality, neighborly locksmiths can assist you with security lock installation and repairs for your commercial building. Call us today to make sure your business is as secure as possible and get the best locksmiths to do it.